Creating an affordable virtual reality device for the mass market has been the holy grail of sorts for game developers and futurists. Now Facebook's $2 billion purchase of Oculus may bring that dream one step closer to reality. Virtual reality enthusiasts say they've been waiting for decades for the technology to take off and have been developing headsets and content in the hopes they could soon have mainstream appeal. Last week's blockbuster deal for Irvine, Calif.-based Oculus is also casting the spotlight on Southern California's growing role in developing virtual reality technology. Much of the activity is taking place at the University of Southern California's Institute for Creative Technologies, where Oculus founder Palmer Luckey, 21, once worked as a lab assistant. The institute has attracted several top VR researchers including Mark Bolas, who advised Luckey in the early days of Oculus. "We really do have an emerging hotbed here. I think this is the heart and soul of where virtual reality is going to be," said Bolas, who is director of the Mixed Reality Lab, a joint effort between the institute and USC's School of Cinematic Arts that trains art and engineering students in virtual reality design. "We've got a nexus of people here that have been working in the field for over 20 years." "We definitely like being in Southern California because we see the platform as covering gaming and entertainment," Oculus Chief Operating Officer Laird Malamed said. "It's a good place to be, which is why we haven't moved." Oculus' headset, called the Rift, has been heralded as the device that could make virtual reality the next big thing in video game technology. It began as a project on Kickstarter, raising nearly $2.5 million from 9,522 backers in August 2012. Resembling a pair of bulky ski goggles, the Rift promises to "take gaming to the next level" by immersing the viewer in a lifelike environment. "It tricks your brain and it feels like you're somewhere you're not. Except in real life, you've never gotten that sense of scale," said Chris Dixon, a partner at venture capital firm Andreessen Horowitz who led Oculus' $75 million Series B financing round in December. "It's so effective in its illusion of reality that I think a lot of the current games will be too intense for people," he said. Nowadays, motion-control advancements better allow for head tracking and cut down on delays in response time, meaning the images on the Rift screen move with the tilt of the player's head. Software is also powerful enough to correct for lens distortion, and advances made in the mobile market have helped make such technology affordable because component parts are much cheaper. "The difference is not what's possible now, it's what's possible at a price that might be manageable," Lanier said. Besides the more attractive prices, virtual reality got a major boost from Facebook's acquisition announcement - and raised Southern California's profile as a tech region capable of churning out more than fashion websites and consumer apps. "This is a very technical company, so it didn't fit the stereotype," Andreessen Horowitz's Dixon said. "This showed the diversity of the L.A. technology scene." "Being so close to Hollywood and having such a strong network in the film industry and the games industry, it's really a fantastic place to explore a whole new medium," said James Iliff, co-founder and president of Survios, a Los Angeles startup that is developing its own VR hardware as well as a software platform and games. Iliff, who worked alongside Luckey and Bolas at the Institute for Creative Technologies when he was a student at USC, said Survios aims to create "full-body simulation," so viewers can see their arms and legs in virtual reality, making for an even more visceral experience. "Now that VR is finally hitting the mainstream and there's this whole revolution behind it, this really becomes the ultimate medium," the 23-year-old said. "I feel like it's the pinnacle of this overarching goal over the last 30, 40 years of making entertainment more and more immersive." 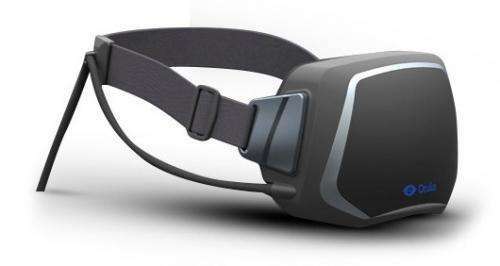 But Lanier cautioned that the technology still needs to prove itself to consumers, despite Oculus' head-turning deal. "We shouldn't mistake an investment for a win, because the only win that happens is out in the marketplace," he said. "So this is still preliminary, even though it's big."